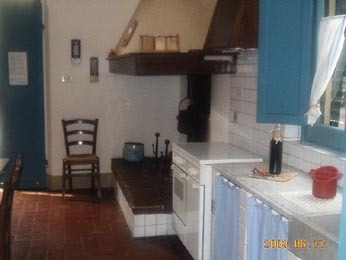 In front of the cell of the farm there is the entrance of the farm house, where a large fire place gives you its "welcome" in the nice ancient kitchen with a marble sink and blue windows. 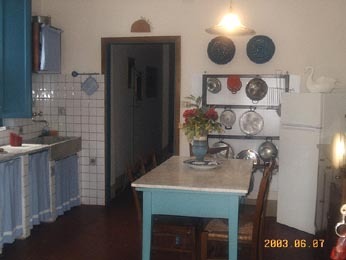 The kitchen has four gas fires and the owen, fridge and freezer, table and chairs. 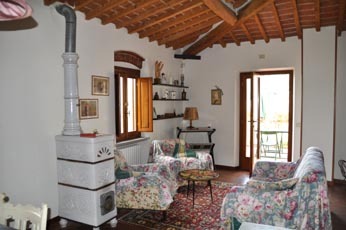 Near the kitchen you have a sitting room with armchairs. 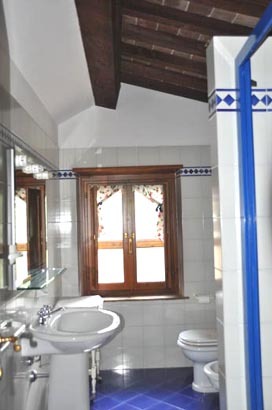 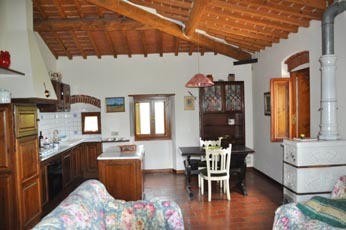 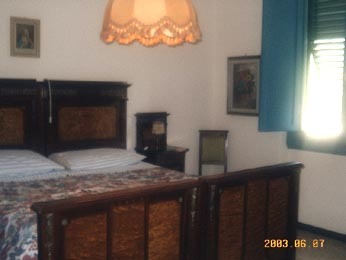 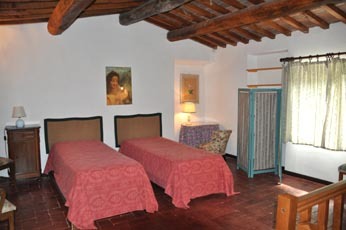 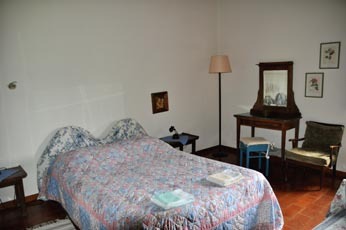 You reach the first floor passing through an ancient stone stair: a double bedroom furnished in the beginning of XXth century style, another double-bedroom and the small bathroom (with shower) are there. 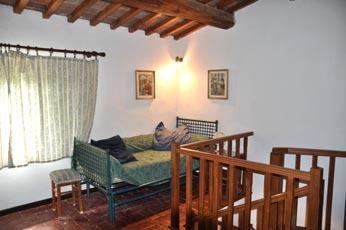 Passing through a nice wodden spiral staircase you arrive in the underoof bedroom, caracterized by ancient Tuscan cotto floor, beautiful beamed roof and the view on the swimming pool.